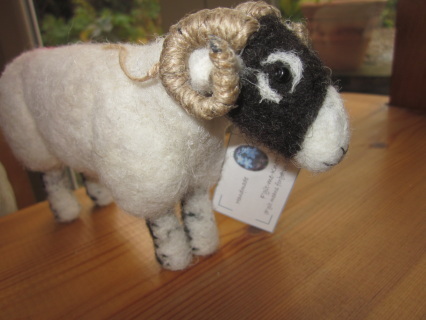 Felt artist Julia Knott from "F'git-me-Knott Designs uses natural wool to make very cute sheep models from her home. She uses a needle technique to mould and decorate with remarkable detail. 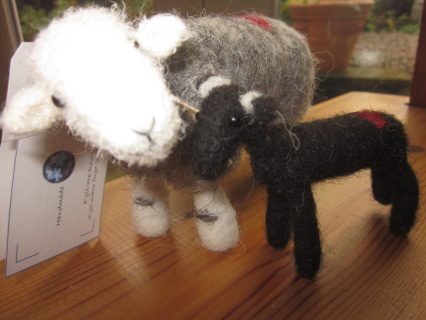 Her little flock includes some of the lovely characters you can see here.